Who can forget Lionel Richie's famous lyrics to "Hello," or the music video where a blind student sculpts a likeness of his head -- complete with '80s Jeri Curl. Well, one talented editor has taken upon himself to re-dub Richie's ballad. But instead of just using random soundbytes, he's taken them from movies past and present. Some of the films sampled in the viral video include classics like "Airplane," "Back to the Future" and to newer hits like "The Matrix," "Toy Story," "Avatar" and even "Borat." 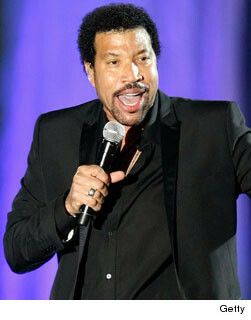 And because it's equally awesome, check out the original Lionel Richie video below! Viral Video: President Obama "Sings" “Born This Way"